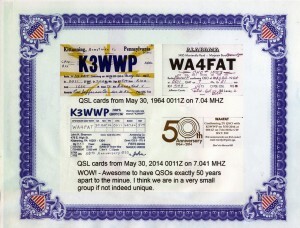 Could this be a first in Amateur Radio? Two radio amateurs had a successful contact recently on 40 Meter CW. What makes this contact incredible is the fact that these two operators first worked each other at exactly the same time, on exactly the same frequency, using the same mode as before … but 50 years earlier! 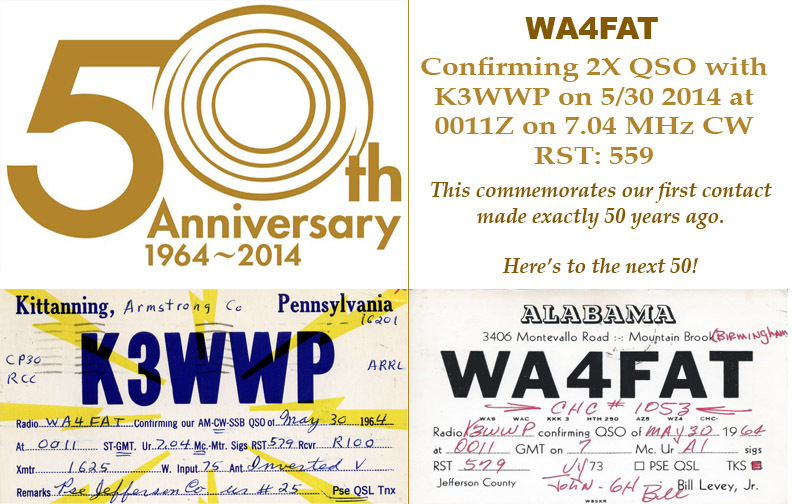 That’s right, these hams first worked on May 30, 1964, (with both amazingly still holding the original QSL cards from that first contact) and then recreated the contact exactly 50 years later. 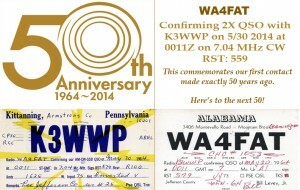 WA4FAT has created a special commemorative QSL, and K3WWP plans to do the same. Both vow to try again in another 50 years, and we wish them well.